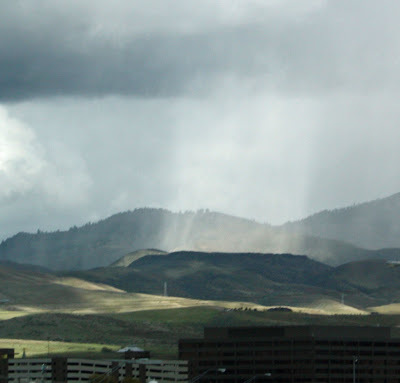 Another round of storms and chilly weather for Boise this week. This was the view of the Boise Front during a light hail storm yesterday evening. The downtown Cinco de Mayo party I was going to attend was canceled because of the weather. It's been crazy here too. Marvellous shot though! wow, you can just see it coming down. I think yesterday was a crazy weather day for much of the Northwestern area of the US. Sorry to hear your Cinco de Mayo plans were cancelled, but at least you had a wonderful pic to post!